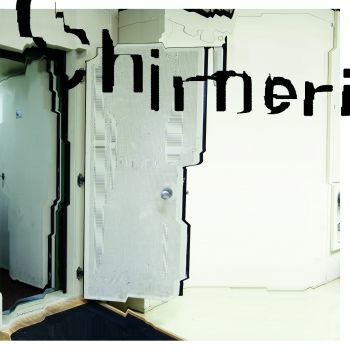 Editions Mego is happy to announce the release of 'Chimerization', three vinyl editions of a text - sound piece Hecker produced on the occasion of dOCUMENTA (13) in Kassel, Germany. For 'Chimerization' Hecker invited the Iranian writer and philosopher Reza Negarestani, to contribute an experimental libretto, “The Snake, the Goat and the Ladder (A board game for playing chimera)” a script that has been recited by a group of speakers and recorded by Hecker in anechoic and sound-attenuated chambers - rooms designed to minimize the reflections of either sound or electromagnetic waves. Hecker characterizes ‘Chimerization’ as a concept derived from psychoacoustic investigations on difficult-to-define areas between language and non-language, a process focusing on the decomposition of sound and synthesizing incompatible modalities, surpassing their respective particularities without fusing them, in order to obtain a narration beyond immediate comprehension, which may be deciphered through repeated, ‘active’ listening. 'Chimerization' is released in the following languages - English (eMEGO 153), German (eMEGO 154), the mother tongue of the artist and Farsi (eMEGO 155), the orginal language of the writer. All voices recorded by Florian Hecker at the Sensory Communication Group, Research Laboratory of Electronics, Massachusetts Institute of Technology, except: Andreas Huyssen recorded at Hearing Science Laboratory, City University of New York; Guerino Mazzola recorded at Orfield Labs, Minneapolis. Gabriel Catren recorded by Olivier Pasquet at IRCAM, Paris. The three vinyl editions of 'Chimerization' have been designed by NORM, Zurich and cut by Rashad Becker at Dubplates & Mastering, Berlin.